It’s very funny. 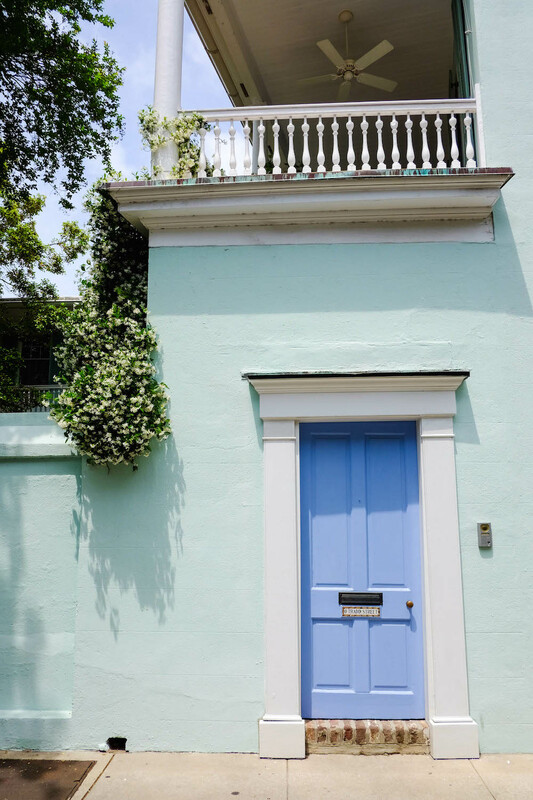 When I told a few of my (Charleston-based) girlfriends that I was planning a Charleston Travel Guide, they laughed and told me it should be of a “Second Home Guide.” And it’s true. In the past 18 months I have been to Charleston eight times. I really don’t know how that happened. I just love this city so much. If you’ve never been, add it to your list. It’s the perfect weekend getaway.. the flight is just over an hour out of New York! 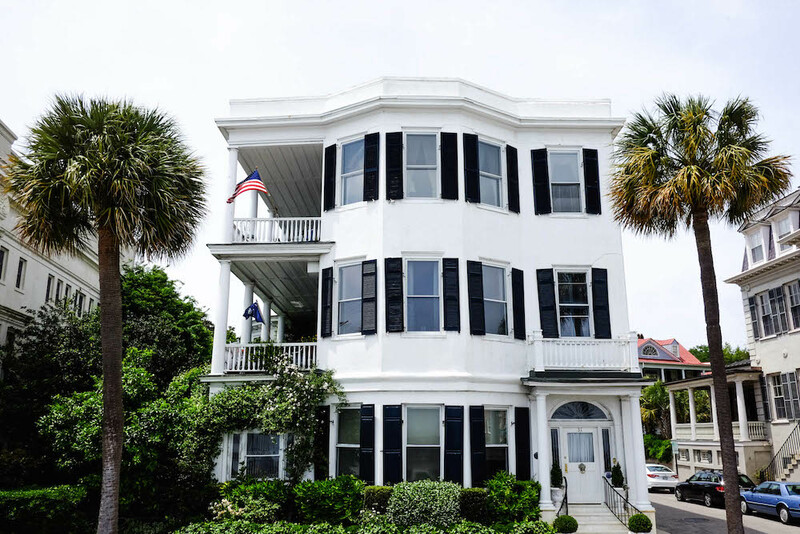 In the meantime, my sister and I have developed a new favorite game… checking the Charleston real estate listings. My not-so-secret goal is to get the whole family to move there (or at least live there for part of the year)! Someday!! I’ll keep this updated as I try more and more Charleston faves, old + new but I feel pretty confidant that I’ve captured the best of the best. oysters at leon’s… one of my fave lunch spots! These are all alphabetized. I felt like it wouldn’t be fair to list them in any other order… I have so many favorite spots! Basil is a must if you love Thai food as much as I do. Their duck is basically famous, and the ginger pork is probably my favorite thing on the menu. (Their spring rolls are also delish.) I like it for lunch or takeout… it’s casual and never disappoints. Callie’s Hot Little Biscuits I joke (sort of) that I get fat every time I go to Charleston and Callie’s plays a big part in that. There is nothing better than one of her warm delicious biscuits. Nothing. Fun fact: they have cream cheese inside the dough which keeps them extra moist and yummy. Cannon Green is one of the prettiest restaurants in the city. The space is elegant (and very large… great for parties and/or large groups) and will make you feel as though you are in some sort of really beautiful indoor terrarium. Chez Nous is a really interesting concept as they only serve a few things each day. Two appetizers, two entries, and two desserts! The best way to know what they are serving is to check out their instagram account. The space is tiny (and I think) they don’t take reservations, so it’s best to go with just one or two other people. The food is always delicious… I would definitely say this is a must-visit while in town. Cypress is great because it’s fine dining, but also can be nice and casual. When I went we sat at the bar… and proceeded to have one of the best meals I’ve had in ages. They do this really incredible oyster preparation where the oysters are served with a thin slice of tuna sashimi over them. It is amazing and one of my favorite things ever. The crisp wasabi tuna is equally divine. Needless to say, I was in a complete and utter tuna coma after dinner!! FIG is another favorite favorite. They recently remodeled the space. I haven’t been in to check it out yet, but I’m looking forward to it on my next trip. Everything on the menu is delicious. Everything. Listen to the waiters’ suggestions as they are all very knowledgable. When I went for my mother’s birthday, they had just caught a fresh mackerel that day. I’m not usually into mackerel (I find it to be too fishy and oily) but the mackerel at FIG is epic. It melted in our mouths like butter… we ended up having to order another plate! Husk So I will be honest. I think that Husk is a little bit overrated. That being said, if you are looking for a classic Charleston Brunch (think pimento cheese, biscuits, and something fried)… go here. The food is delicious, but it’s very, very heavy. I personally love their bar even more (it’s in a separate building, adjacent to the restaurant), as it is a great place to grab happy hour. The cocktails are so, so good! Leon’s Oyster Shop is one of my favorite places to grab lunch. 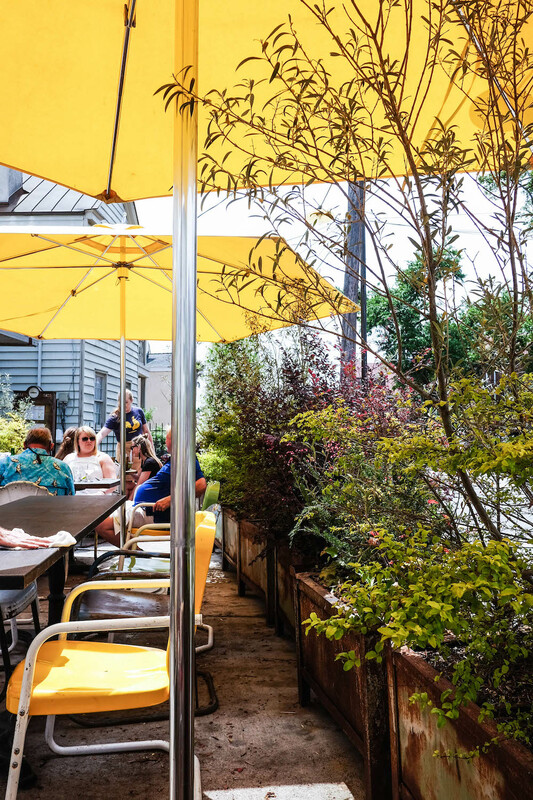 It’s best to go on a nice day… there’s lots of outdoor seating. 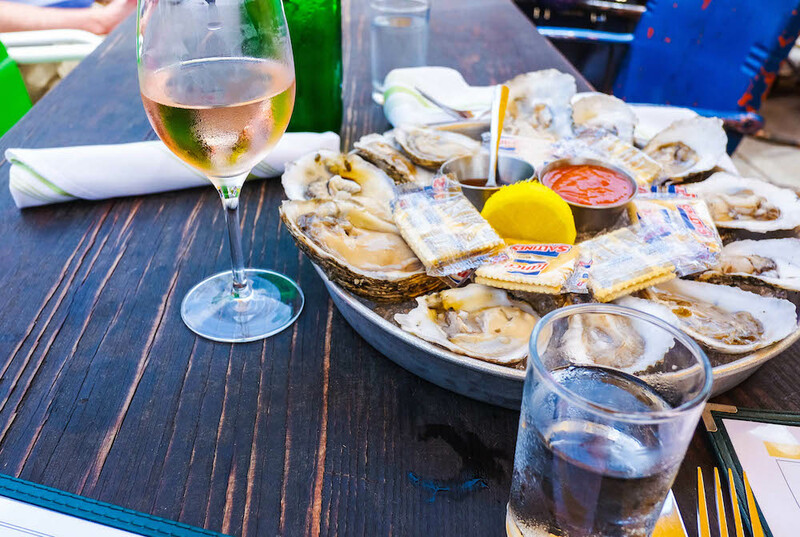 Oysters, rosé, and the fried chicken sandwich. You don’t need much else in life. Little Jack’s is owned by the same team that does Leon’s and it’s delicious. This time around they went with a tavern type of vibe. Think burgers, truffle fries, yummy bar food. We call the Tavern Burger the “girl burger.” It’s the perfect size… not a slider, but not a full on burger. You’ll be able to eat the whole thing and still have room for dessert. The Macintosh is absolutely delicious. Fresh, farm to table ingredients… and so many good vegetarian options. The deckle is a must. It’s meant to be shared between two people. They also have a bacon happy hour. I mean… I can’t think of two things that go better together! McCrady’s is tied with FIG as my favorite restaurant in Charleston. If they have the tuna tartare when you go, you have to get it. It’s one of the most delicious things I’ve eaten in my entire life. I am not exaggerating. They do this really beautiful presentation with sweet miniature onions where the onions look like rose petals. I’m actually drooling as I write this. Another tip: ask for the vegetable preparation as your appetizer. It’s healthy but more delicious than a salad. They have an incredible wine list… if Jodi (the sommelier) is working, ask for her – she knows her stuff! Minero is a casual spot that serves up delicious Mexican food. It’s located upstairs with pretty city views. I love the queso and breakfast tacos! It’s the perfect spot to go for brunch. The Ordinary is my friend Deirdre’s favorite spot, and by extension, my favorite too. The cocktails are delicious, the oysters are incredible, and don’t even get me started on the crab toast. They have a great happy hour, and if I am in Charleston, I am probably sitting at the bar with Deirdre. The Park Café is a little further away from the action too, but it’s worth the trek. I personally love their homemade ricotta cheese. But also, avocado toast! I like to get a half grapefruit and share the avocado toast… it’s the perfect breakfast. The Peninsula Grill I have never eaten a full meal here, but go for the coconut cake. Just trust me. It’s incredible and they actually ship it worldwide. Raw 167 is another spot that I go to every.single.time. I visit Charleston. Great oysters, but my favorite things on the menu are the lobster roll and the tuna burger. The best thing to do is go with a like-minded friend or date (my sister is the perfect companion for this activity!) and split the two. If I were on death row, that would be my last meal. Xiao Bao Biscuit is another awesome spot for lunch. The drinks are really delicious, and the cabbage pancake is unreal! Seriously. It sounds funny, but get it. It will change your relationship with cabbage forever! The Belmont is my favorite bar-bar in Charleston. I go a lot. The cocktails are amazing. I usually will have a Negroni, although last time I went, we all got piña coladas which was totally weird (they’re on the menu!!) but also awesome. The Watch (the rooftop bar at The Restoration Hotel) is a great spot to grab a drink. They have two large patios and an indoor space too which is nice when it’s hot out. The views of the city are amazing! So, the big shocker here for me initially was that Charleston has some really gooooood shopping. King Street pretty much has everything you could ever want or need. That being said, I never thought I’d be saving up to come shop in Charleston which is the case. I know it sounds nuts but I have better luck shopping here than in New York! Hampden Clothing is my go-to. Stacy, the owner, has the best eye. She brings in amazing designers that haven’t even hit New York’s best boutiques yet. She has an incredible eye, and it shows. You will walk in, and want everything in the store. Not to worry, the staff will have you covered. My sister and I both rely on Evelyn, our spirit animal who is both the store manager and one of the lead stylists… but the entire team is very knowledgable and helpful. I feel like all of my best investment pieces come from Hampden. Every time my sister and I visit, the one thing we have to do is pay Hampden a visit. Candy Shop on Cannon is a must-visit for two reasons. First, if you love vintage jewels (hands raised), you will be in heaven. 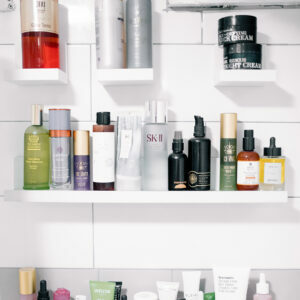 Deirdre (the owner and my great friend) curates the coolest stuff ever. Second, if you need to get someone a present, it has to be Charleston Rice Beads. I wear mine constantly (love the longer strands!). It’s nice being able to give a gift that is rooted in history, but also very wearable. Anytime I’m getting any (female) friend of mine a Charleston gift, it’s always Charleston Rice Beads! 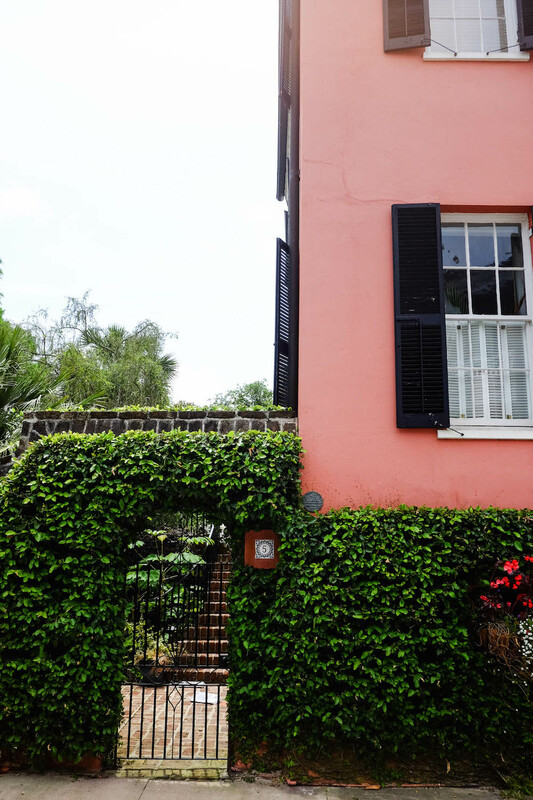 Croghan’s Jewel Box is a Charleston institution and a must-visit. They carry the most incredible range of estate jewels, but then there’s also the Goldbugs line (made in house) – so many beautiful pieces! I wear these drop earrings constantly. Beckett Boutique has a beautiful mix of contemporary clothing (they carry two of my favorite designers + friends… Holst + Lee and Library by Lauren Lail). The selection is smaller than Hampden but everything is meticulously selected… so many pretty things! There are a lot of Starbucks over Charleston, but to me, the best coffee comes from Black Tap. That’s really all you need to know. Of course, there is always a really long line… but to me, the lavender iced latte is 1,000% worth the wait! The Restoration Hotel. I love this spot. Right now it’s my favorite. They have big, cozy rooms, beautiful decor (the library downstairs is incredible with its fireplace and cobalt blue chairs) and the coffee shop (Rise) is one of my favorites. They also have a fantastic rooftop bar (The Watch) which is perfect for watching the sunset with a glass of wine. The Planter’s Inn. 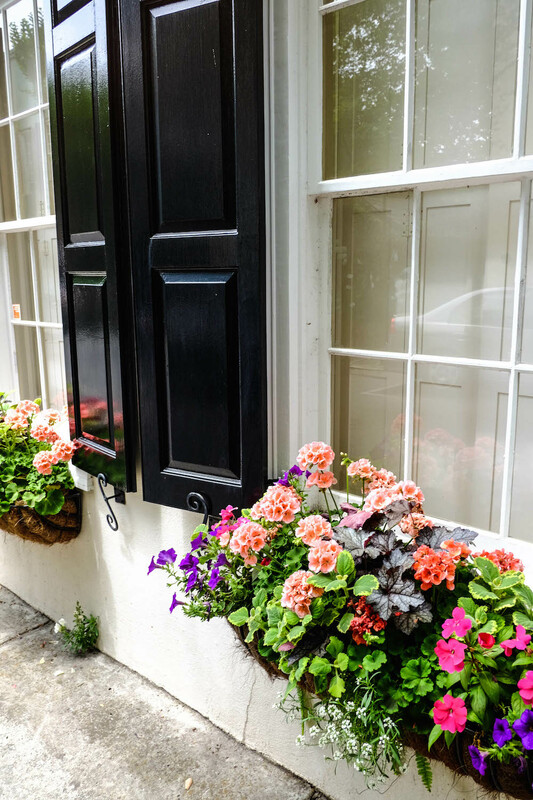 The Planter’s Inn is a favorite as it is luxurious yet charming, cozy, and very central. The perfect mix! The Peninsula Grill is also attached, meaning you can grab that yummy coconut cake on your way home! The only downside is that they don’t have very many rooms so getting a reservation can be hard (and expensive). But the service, cute rooms, and convenient location make it worth it. 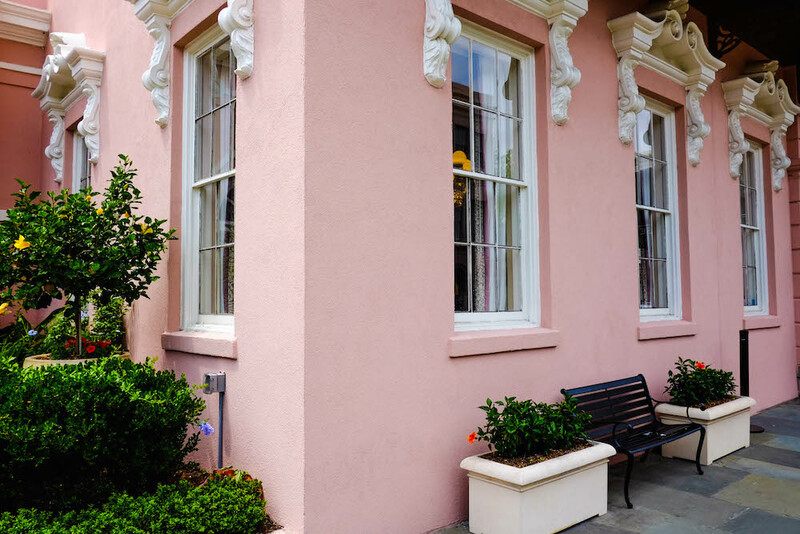 Zero George is one of the most beautiful hotels in Charleston, and has been ranked one of Conde Nast’s best hotels. I am absolutely obsessed. They also have a great restaurant. It is a bit of a hike to town and less central than the other two hotels I mention, but the beautiful space makes up for it. The Mills House. I want to love The Mills House. I really do. 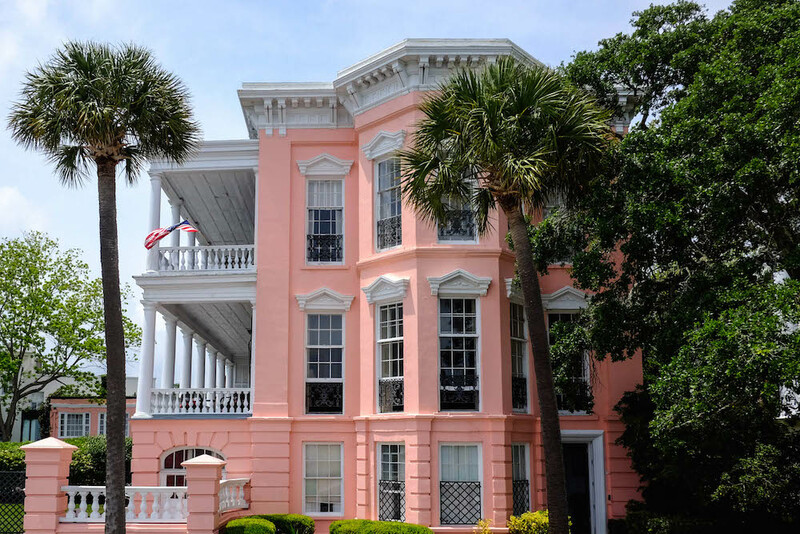 It has the most beautiful exterior (I instagram a LOT in front of those pink walls), and it has an amazing story (the original building actually served as the Confederate Headquarters during the Civil War). And when you walk in, the first floor is really lovely! That being said, the rooms are just meh. But I still listed it here as a) it’s pretty cool getting to stay in the old Confederate HQ and b) the location is great… it’s right there in the historic district and close to everything. I am probably going to get in trouble for saying this, but I hope someday someone buys this hotel from Wyndham and helps it realize its full potential. But also make sure you visit Sullivan’ s Island! Poe’s Tavern is chill and relaxed and the perfect burger joint. It’s also dedicated to Edgar Allen Poe, which is pretty awesome. Get the burger. The Obstinate Daughter is so delicious that it’s worth driving to Sullivan’s, even if you don’t have other plans there. I accidentally ordered the frittata (long story) and it was amazing. On another visit, we had the polenta fries (scrumptious) and I had the shrimp roll (like a lobster roll but maybe even better?) It’s a must. The line can be intimidating… bring a tiny snack to hold you over. Goldbug is my latest jewelry obsession. 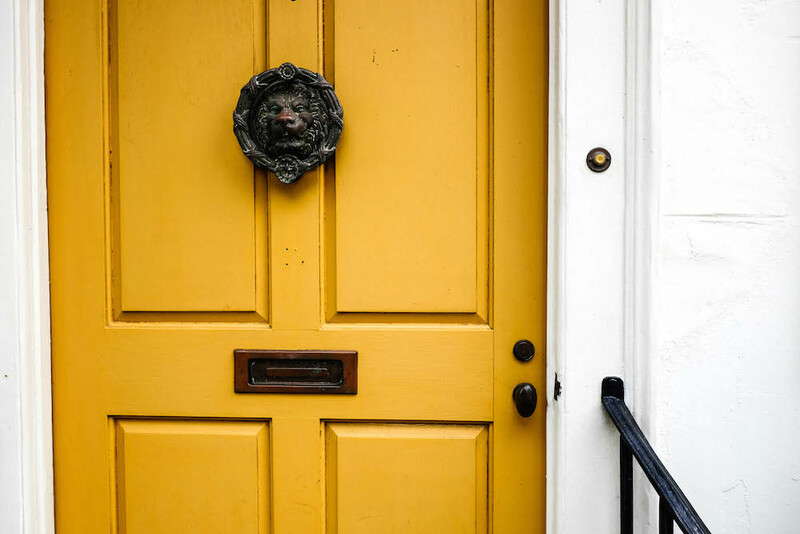 The designer/owner Ashley Reid Martin creates the most gorgeous (lightweight) brass pieces… perfect for summer/Charleston’s humid climate where you want your accessories to be as lightweight as possible. The photos on her website don’t do the product justice, but her earrings are beyonnnd. Charleston is so amazing and you’re one of the people who originally put it on my radar, so thanks! We had the best time visiting recently – Zero George was just gorgeous. I used a lot of your recommendations when planning – FIG was so good, and Hampden Clothing as well (but dangerous for my wallet!). Can’t wait to go back and try some more of these places! you really are an expert!! I’ve only been once but can agree with many of these fabulous suggestions! Bin 152, Chez Nous and Fig – yes! When I return, The Ordinary and Xao Bao are at the top of my list. So happy to see this! We are heading to Charleston for the first time next month. Thanks! Pinning this for later! Charleston is at the top of my list. I’ve heard the food there is amazing, and all of the cute houses have me sold. this is fantastic! Thanks for such a detailed post!!! What an amazing guide – thank you!!! You really should be Charleston’s ambassador. It sounds so incredible… dying to plan a trip! love this so much – thanks for such a thorough guide!! EPIC City guide!!! I would maybe add The Butcher’s Daughter but otherwise you got my fave spots! Totally agree re: FIG, Hampden, and McCrady’s!!! 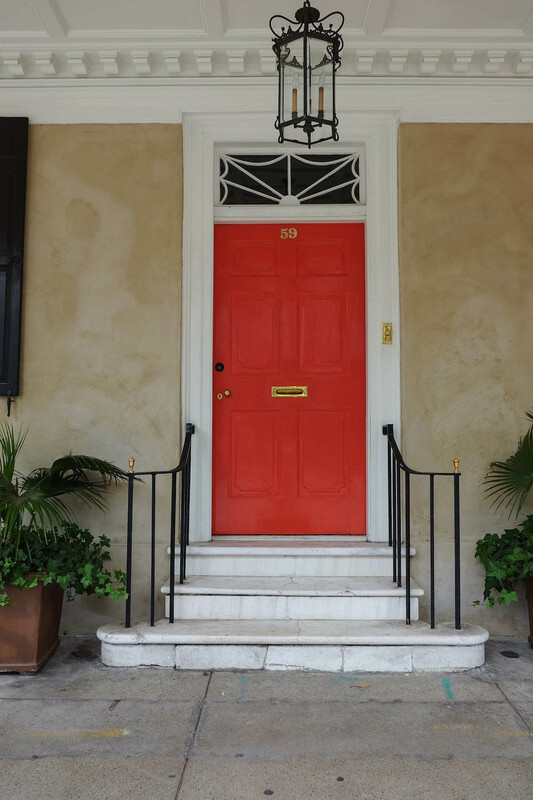 This is the best Charleston guide I’ve seen yet!! I’m a local, and I couldn’t agree more with your selections. Beckett is my new favorite store on King,and the restaurants you listed are some of my favorites, too. Next time you’re in town, you should try Trattoria Lucca. 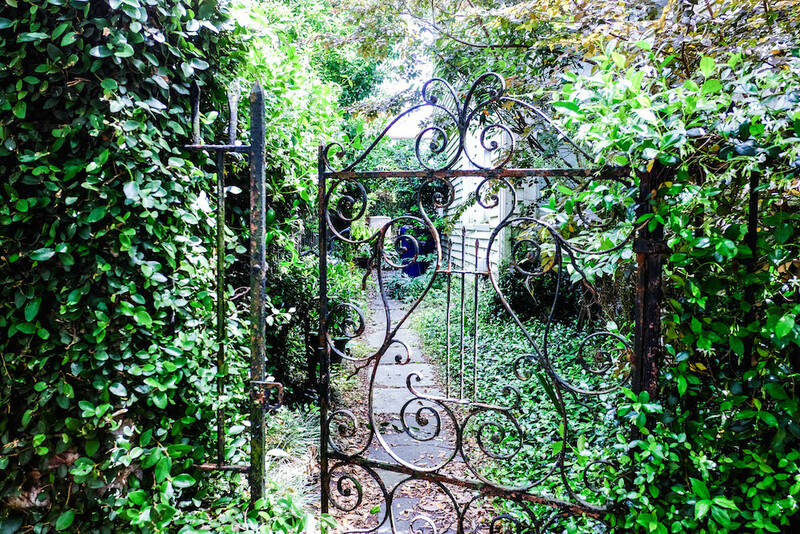 It’s off the beaten path a bit, but definitely worth it. 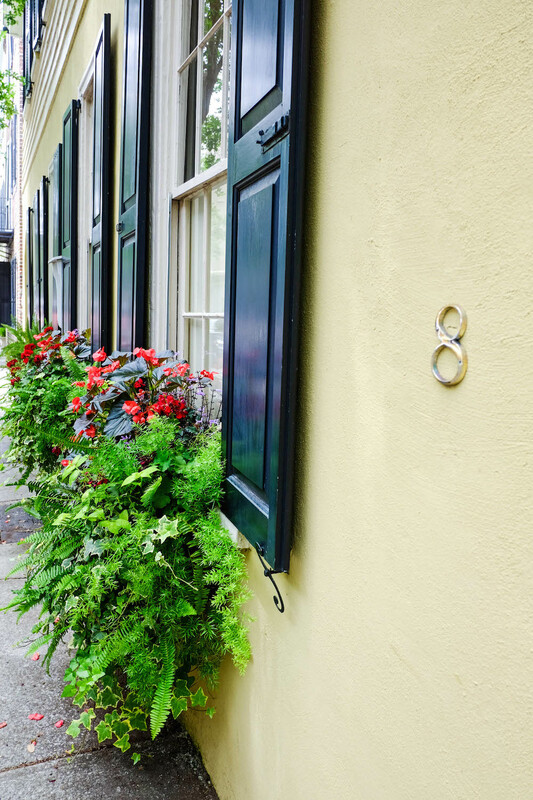 From all of the photos you have posted about Charleston, it looks like Uptown New Orleans. Looks like I’ll have to come up from down South to visit one day! 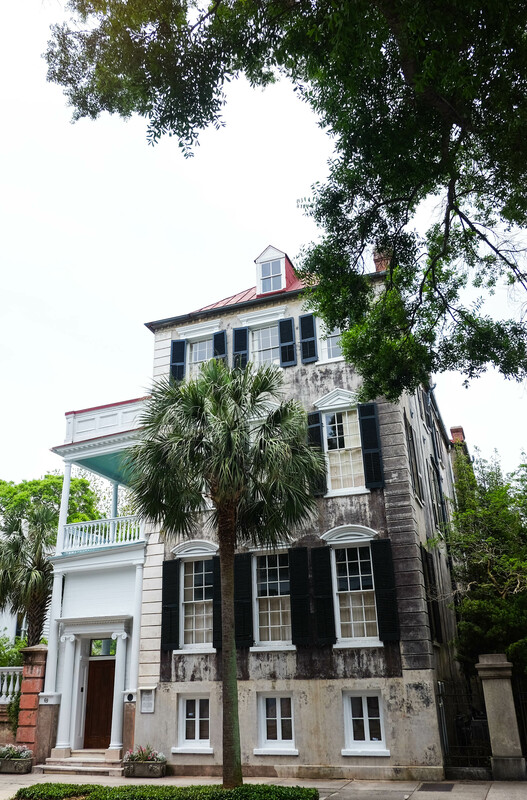 I went to Charleston in February and stayed at The Mills House. The location really can’t be beat, and the staff is wonderful! I would definitely go back even though it’s very “hotel-y”. I’m headed back in July so I’ll be referencing this post! Thanks! A couple of points: the Mills House was rebuilt in the 1960s and only the wrought iron balconies are original, but a good recreation. The hotel to stay in Charleston, if you are high-ending, is Charleston Place. Also, Kaminskys 78 North Market Street is unmissable if you really want to blow a diet!! Amazing gateaux. Ahhh thank you for the tips!!! I have to check out Kaminskys, next! Oooh, thanks for these tips! I’ll have to keep these in mind for future vacay plans! What a great post! 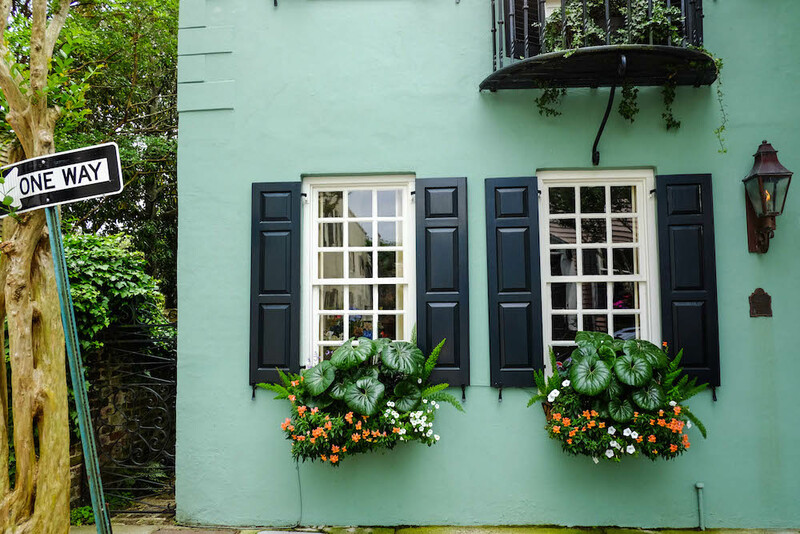 I love Charleston and these are great tips. I’ve been to Bin 152 and loved it too! Thank you so much for the suggestions! Both sound delicious. I’ve never had tomato pudding – intrigued!!! Loved the post! This has me wanting to book a trip ASAP:) Looks live such a lovely place to visit! 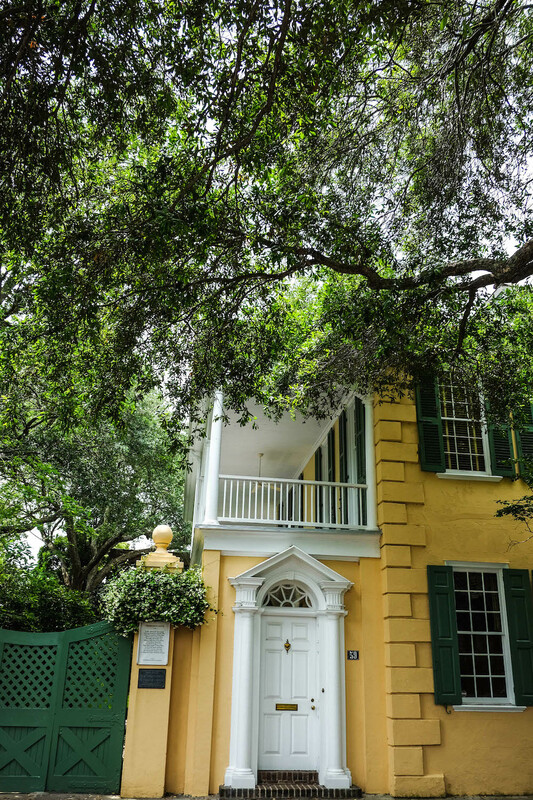 This is a pretty comprehensive guide on Charleston and a good read. I live next door to charleston but have never been there. Love the pics, they do a good job of showing of the beauty of the city. Thanks for sharing this. 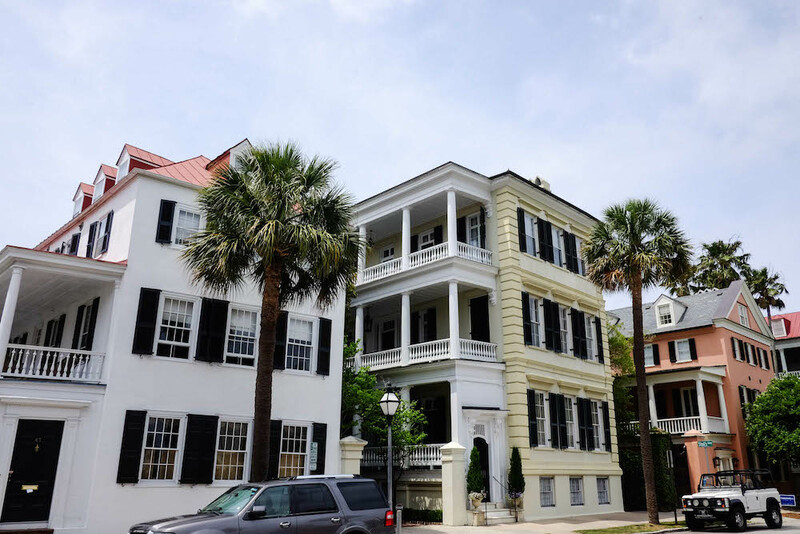 I’m looking at going to Charleston in the spring, is it necessary to rent a car if you’re staying in the historic district? Or are there Ubers, or can you walk most places? 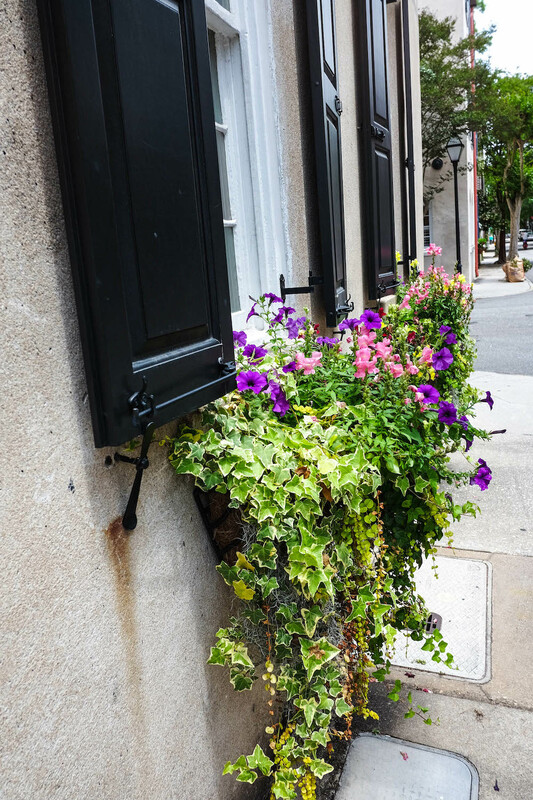 If you are staying in the Historic District, definitely not! Most of it is walkable and you can always take Uber or Lyft. The only reason you’d need a car is if you want to get out of the city a bit (i.e. go to Sullivan’s Island, Middleton Place, Folly Beach, etc!) Have FUN!! !